Compared to many runners, I’m still a baby runner. I only started running 9 years ago during my freshman year of college. I needed a way to burn off stress. I decided to go run 3 miles out of the blue. Without stopping. Don’t do that. I couldn’t walk the next day. I ran for the next 6 years on my own. Rather than hiring a coach, I decided to train for races based on training programs I found on the internet. I ran a handful of 5Ks and 10Ks, a half marathon, and two marathons. When you’ve never heard of things like a “long slow distance run,” “fartlek,” or “tempo pace,” training on my own was incredibly difficult. And none of the programs I used were tailored to my own fitness level or to the types of workouts I responded to the best. And while Google helped some, it couldn’t explain why my hip always hurt and calves knotted up, or why I got stuck in the same pace rut. For the first time, someone told me when I should run and when I needed a day off. He made sure my hard days were truly hard and my easy days were easy enough that I could recover. He figured out which types of workouts worked best for me. I also ran effective workouts that I never would have considered before. My mileage increased slowly. I learned how to embrace the track. And I learned how to run. My coach not only knew who to send me to when I developed an injury, but he also knew how to keep me moving during an injury. And when it was time to run again, he helped me increase my running gradually so that the injury didn’t come back. My running schedule became routine: two speed work days, 1 long run day, and plenty of rest days. We kept going between training cycles, although not as intensely, so my body wasn’t shocked when the next training cycle began. And he kept me motivated to train even when it got tough. My coach knew what types of races I should run and when I should run them. He was also pretty darn good at predicting my race times. That helped me set goals for myself that were high enough to be a challenge but also not so high that I was continually disappointed by my results. 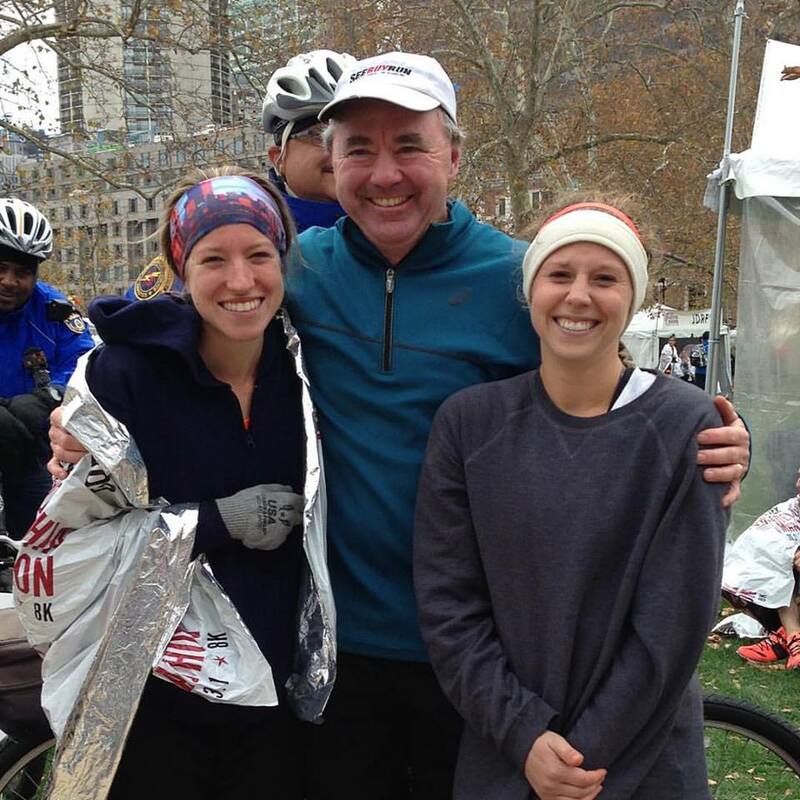 Courtney (left) with her coach (middle) and training partner after running the 2015 Philadelphia Marathon. Coaching make the biggest difference in my race performance. After weeks and months of consistent hard work, I was running paces and times I hadn’t considered before. All because I was working with someone who actually knew what they were doing. Over the past 5 years, I’ve shaved 4 minutes off my 5K time, 10 minutes off my 10K, 30 minutes off my half marathon, and almost an hour off my marathon time. Even elite runners work with coaches. All of us could use some training help. And it makes a big difference! It did for me. 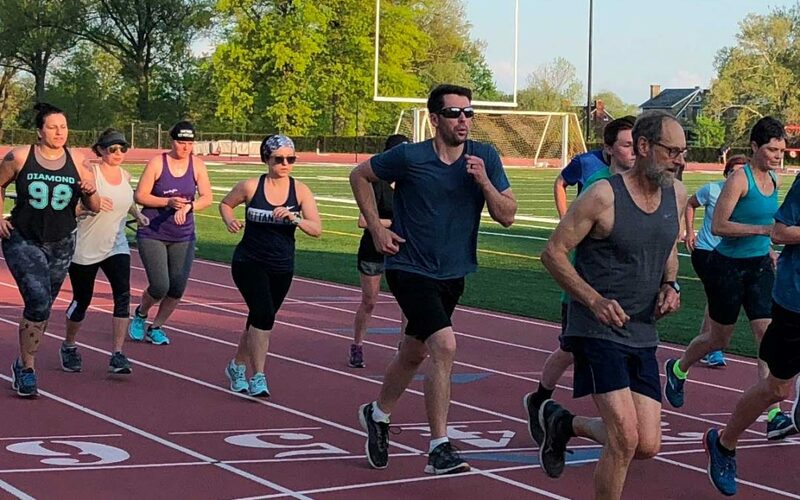 If you’re interested in coaching, check out our Apple Blossom 10K Training Program!